An easy way to add extra vegetables to your diet is to drink them first thing in the morning. The nutrients in freshly made vegetable juices are easily absorbed by the body, while green smoothies contain fibres that fill you up longer. 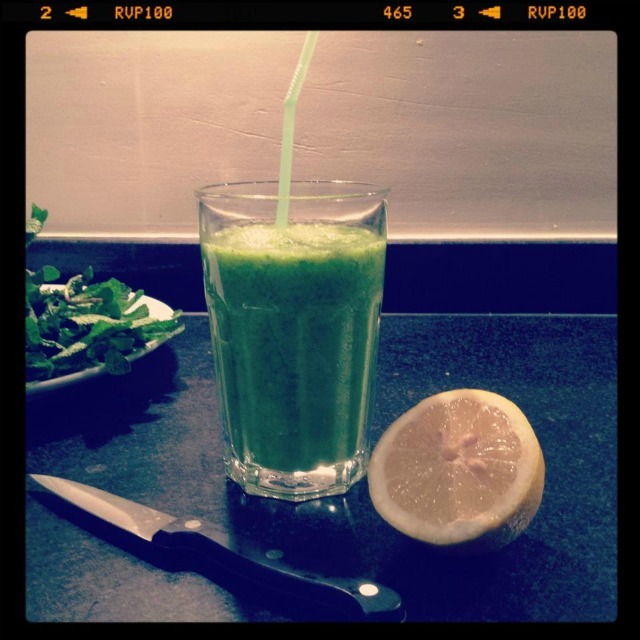 Try a simple green smoothie with kale, banana and almond milk. Blend 1 beet with a cup of cooled green tea and a handful of forest fruit, like blueberries or raspberries. Have a ‘liquid salad’ for breakfast. The combination of arugula, pear, ginger and walnuts is surprisingly tasty for an autumn morning. Make a classic, sweet juice with carrot, apple and ginger. This green juice made from spinach, cucumber and lime is packed with healthy nutrients like chlorophyll and vitamin C.
Spread avocado mayonnaise on a bun and garnish it with garden cress or alfalfa sprouts. When you make a tuna sandwich, slip in some green leaf lettuce. Make a simple tzatziki with lots of cucumber. Serve with a few black olives. Hummus and slices of roasted bell pepper are another great option for your sandwich. Have an omelette with mushrooms. On a cold winter day, nothing beats a hearty (homemade) vegetable soup for lunch to warm you up. Be aware of creamy soup when you’re watching your calorie intake. Try a wholegrain pita-bread filled with raw or grilled vegetables. Bring a leftover piece of quiche to work. A classic combination is the quiche Lorraine with ham and leek, but peas or broccoli also make a great filling. Fill a wholegrain wrap with this salsa of grilled corn, tomato and avocado by My New Roots. Salad Niçoise – the timeless mixture of tuna, anchovies and green beans. I like to make my version with a boiled egg, cherry tomatoes and artichokes. Jamie Oliver’s Caponata. Grill slices of zucchini and eggplant, red onions and cherry tomatoes. Mix them with fresh herbs, olive oil and lemon juice. This warm salad taste lovely with mozzarella and prosciutto, or it can be served with steak. Combine lamb’s lettuce with chicory, pieces of apple, walnuts and a dressing of yoghurt, honey, mustard and olive oil. Goes well with pork. Prepare an exotic salad on a summer’s day. Finely slice raw white cabbage, blanche soy sprouts for one minute and add pieces of mango, cashew nuts and chives. Serve it with a dressing of coconut milk and lime juice. Have an Italian – style side salad with arugula, sun-dried tomatoes, a drizzle of balsamic vinegar and rustic croutons made from ciabatta. Stir fry. Pick a protein (tofu, chicken, shrimp), some vegetables (spring onion, soy sprouts, cabbage, bell pepper, broccoli, carrot) and add a flavour of your choice (garlic, chilli, dark soy sauce). Wip up a frittata with any (leftover) veggies you like. My go-to frittata contains spinach or zucchini with anchovies. 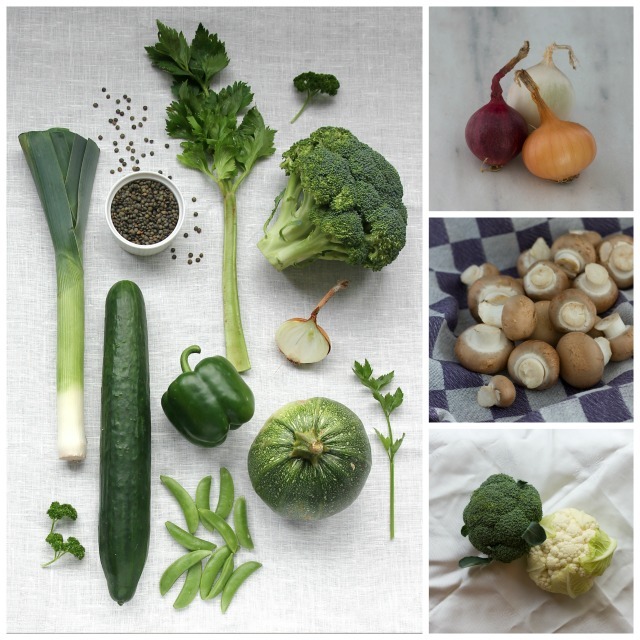 Turn a vegetable broth into a light meal. Make a vegetable stock and add shiitake, soy sprouts and finely chopped pak choi. Boil the vegetables for 5 minutes. Top your broth with smoked chicken and/or glass noodles. Make a Portobello – burger! 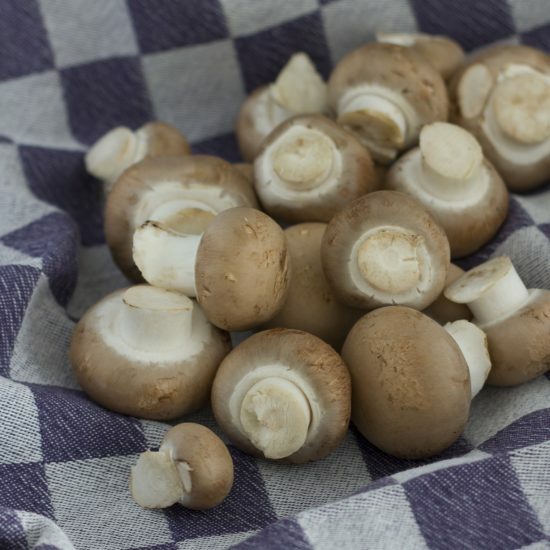 Coat a Portobello mushroom with olive oil and herbs before you cook it in a grill pan. You can serve it on a bun, with the avocado mayonnaise and slices of tomato. Have fish with veggies ‘en papillotte’. Put vegetables of your liking and pre-boiled potatoes on a large piece of aluminum foil. Place a serving of fish on top, pour 2-3 tablespoons of fish stock over the food and season with herbs. Fold the package like an envelope and cook it in a pre-heated oven (175 C) for 15 minutes. Tasty combinations are codd and leek with spring onions and parsley, or salmon with broccoli and small potatoes. This Morrocan Quinoa Salad with grilled zucchini, eggplant and almonds is one of my favourite (vegan) meals. Little time to cook? Swap the quinoa for couscous. Prepare risotto primavera for a special occasion. This risotto with small, green asparagus, zucchini, peas and greens beans is a real vegetarian treat, perfect for a spring dinner party. Have a go at your own version of stuffed vegetables. For example, you can cut a bell pepper in half and fill it with cooked rice, raisins and pine nuts. Serve with some greens on the side. 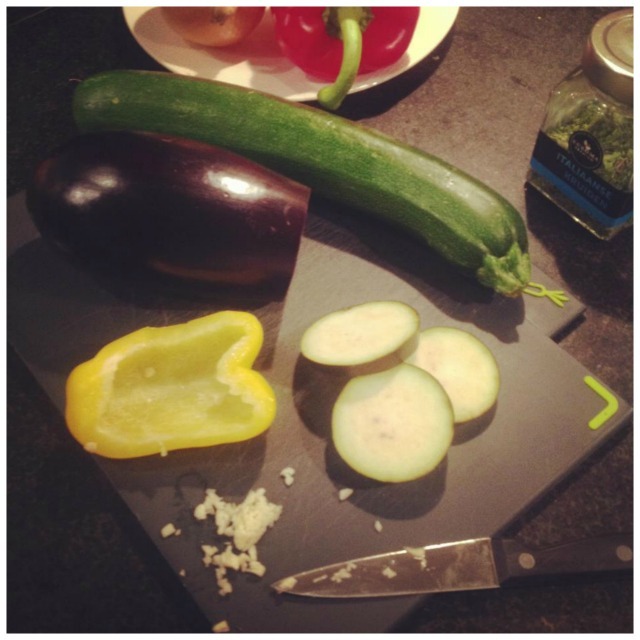 Try this great template to create different vegetarian dishes: “A grain, a green and a bean”. Bake savoury pancakes with grated beets, goat cheese and thyme. Mix mashed peas with fresh mint. Serve it as a spring-style dish to go with lamb chops or white fish. Mash boiled cauliflower with shredded coconut for a creamy side dish. Looking for an alternative to mashed potatoes? You could puree cooked root vegetables or pumpkin. For a typical Dutch meal, stir raw endive lettuce through mashed potatoes and heat it for 1-2 minutes. Traditionally it’s served with bacon or meat loaf. Another winter dish: Boil sauerkraut for 25 minutes and then mix it with mashed potatoes, raisins, pineapple and ham. Eat vegetables with most meals. It’s easier to eat small portions of vegetables throughout the day than a large amount in one sitting. I’ve also noticed that when you’re focused on having veggies with your meals, you automatically make healthier food choices ‘overall’. Variation is key. Mixing up your veggies ensures that you’ll get all the vitamins and minerals you need. Greens also contain small amounts of alkaloids that can be harmful in very large quantities. However, when you rotate your vegetables on a regular basis, you’ll only experience the amazing benefits of greens for your body. Think in colours. 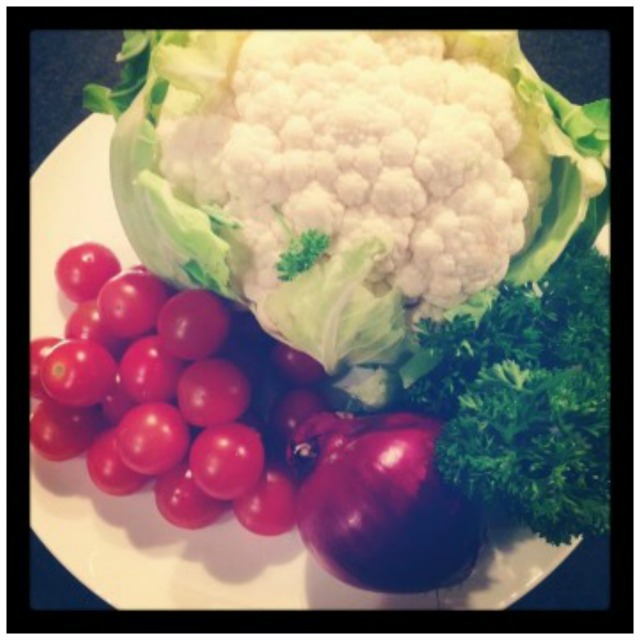 The colours of vegetables signal different phytonutrients, that are important for your health. For example, orange veggies like carrots and pumpkin contain betacarotene, while greens are full of chlorophyll. Don’t like the taste of veggies? Take the time to let it grow on you. In the meanwhile, you can add some flavour by using herbs, garlic and ginger or sprinkling your salad with a nice vinaigrette. Another tasty tip is to ‘pimp’ your vegetables with pine nuts, sun-dried tomatoes, lean bacon strips or finely grated Parmezan cheese. Bon appétit! What is your favourite way to get more veggies into your meals? Please share your best tips in the comments.